What Cell Phones do Teachers Use? During September, teachers around the northeastern United States responded to a survey conducted by TutaPoint. The respondents were veteran teachers, with 91% teaching for 10 or more years. One of the interesting questions that we asked during the survey was “which cell phone do you use”. As it turns out, veteran teachers are up on the latest technology with 44.9% using an iPhone. Second to the iPhone was phones on the Android platform, with 26.9% of respondents on that platform. Blackberry needs to rethink how it markets to teachers, as only 1.1% of teachers are using the once popular smartphone. As for Windows? Zilch. No teachers reported using a Windows smartphone. 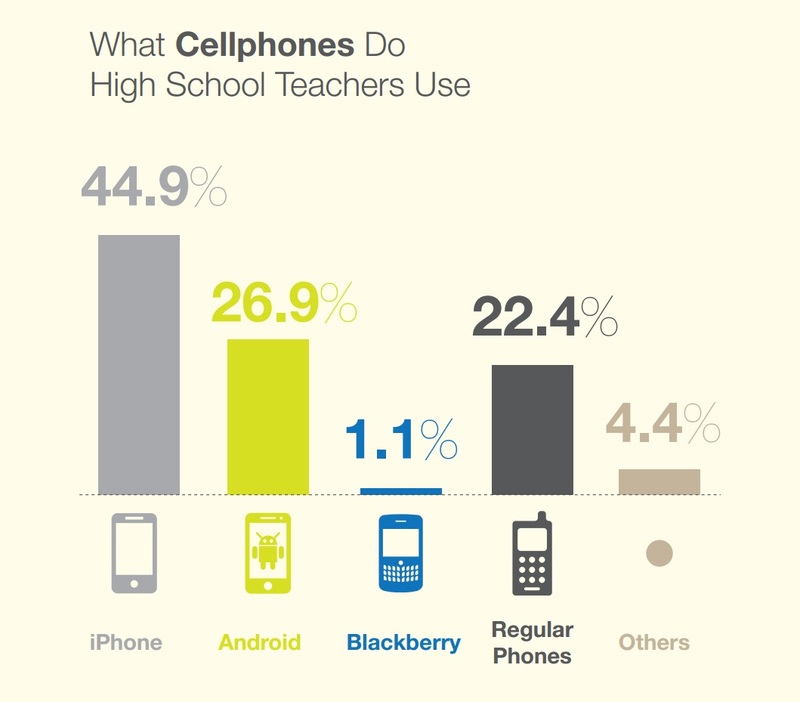 Finally, there are still teachers who choose to use a regular, feature free cell phone – 22.4%.